A Glice® Synthetic Ice Rink has been in operation this winter in the German city of Bad Münstereifel. 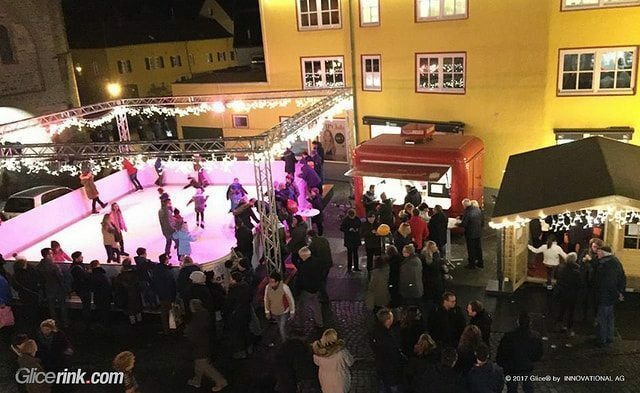 The Glice® Rink was installed in the beautiful pedestrian area of the city where you find many half-timbered and historic houses. Thanks to the nice location and its state-of-the-art design, the Glice® Rink attracted a lot of locals and tourists and many enjoyed the extraordinary skating feel on Glice® artificial ice.